Selected from a group of 49 nominees were 12 Honorees, chosen by the 19-member Selection Committee. All 12 chosen inventions were introduced and recognized on stage with a certificate by the members of the Invented Here! Planning Committee, Mark Solomon, Aaron Connor and Dipti Ramnarain. One of the inventors was awarded Honoree status for two different inventions, so all 11 inventors were in attendance. 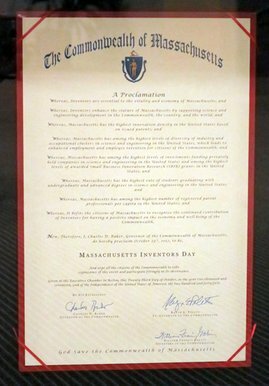 On Monday evening, October 23, 2017, the BPLA community came together to celebrate New England Inventors’ Day, proclaimed by Governor Charlie Baker, and to celebrate New England innovators, their inventions, and the stories behind their innovations. The event took place at the Exchange Conference Center on Boston’s Fish Pier in the Seaport District. The building features dramatic architecture, high ceilings, and spectacular panoramic views of Boston Harbor. 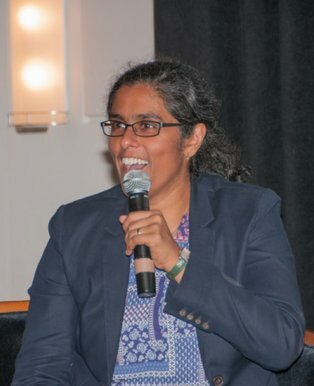 The Emcee of the evening was Meghna Chakrabarti, who is host of The New York Times’ Modern Love: The Podcast; a co-host for WBUR’s Radio Boston, and primary fill-in host for WBUR’s Here & Now. Following the presentation of the 12 certificates to each of the Honorees, the 4 Featured Honorees were asked to return to the stage, where they were awarded framed certificates for their inventions. This was followed by an interview session by Meghna. 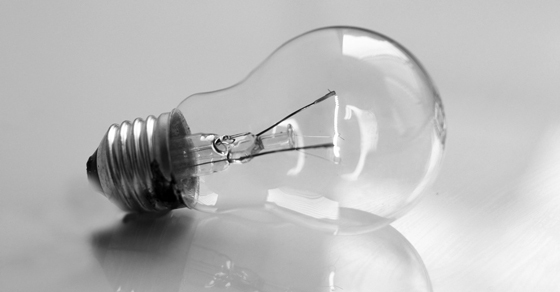 Each of the inventors told the story of their invention, explaining their particular “Aha moment” of when they realized that they were on to something very special. It was very exciting to hear these stories and to realize that these inventions could improve many people’s lives. Throughout the evening, delicious hors d’oeuvres were passed around by the caterer East Meets West. This was followed by a very tempting selection of miniature desserts and coffee/tea to finish off the night. A special thank you goes to the many people who volunteered their time and expertise to make this event possible: All the Liaisons at the various law firms; the Invented Here! Selection Committee (see list above); Judy White, Coreen Feeley and Kristine Ferrigno from Hamilton Brook Smith Reynolds; Constance Brennan from the BPLA; George Jakobsche from Sunstein Kann Murphy & Timbers, who graciously made all his photos available; and, most of all, the Invented Here! Planning Committee: Aaron Connor, Dipti Ramnarain, and Mark Solomon, whose vision and perseverance have made this event possible since 2010. Below is a selection of candid photos from the event.